The wave of technological evolution has certainly drawn attention to the importance of high speed internet connectivity. Talks about 5G are always linked to ultra-high speeds and low latency, and thus fiber optic cables. Telcos are currently investing in fiber technologies given their ability to carry much more data than copper cables - an element that is significantly important in the digital age. Fiber has become linked with digital development due to its positive outcomes concerning the improvement of services, connectivity and living conditions, in addition to granting more access to information for more people and businesses. Its ultimate advantage is its ability to transfer vast amounts of data at the local and global levels. Consequently, we've heard a lot about FTTx (fiber-to-the-x) deployments that include several types of fiber optics rollouts, mainly FTTH (fiber-to-the-home) and FTTC (fiber-to-the-cabinet). Countries have been striving to improve their infrastructure in order to introduce fiber into every home and enterprise. It has become clear that FTTx is a top priority for governments and telcos that aim to achieve digital transformation and enhance people's experience over the internet. Lebanon is getting ready to deploy fiber by improving its infrastructure and undertaking several pertinent projects and initiatives launched mainly by Ogero in cooperation with the Ministry of Telecommunications. In fact, the initiation of a wide scale fiber optic project across all Lebanese territories was announced after state-owned telecom company Ogero awarded tenders, launched in 2017, to three international companies entrusted with linking end users to their central offices. The project, announced during a launch event held at the Grand Serail last February, consists of replacing Lebanon's outdated copper wire infrastructure with fiber optic cables. According to Ogero chairman and director general Imad Kreidieh, Chinese Huawei, Finnish vendor Nokia and American-based Calix will work alongside local companies such as Serta Channels, Powertech and BMB respectively to overhaul Lebanon's telecom infrastructure. Serta, one of the leading information and communication technology (ICT) solutions providers in the region, was awarded the major part of the FTTx project: deploying thousands of active cabinets nationwide along with their fiber optic cabling infrastructure. In fact, Serta is a subsidiary of Resource Group Holding (RGH), a dynamic investment group that promotes technology and human capital, for value creation. RGH operates across the sectors of digital security, smartcard manufacturing, mobile value-added solutions, cybersecurity and secure communication solutions, telecom infrastructure and managed services, elections supply chain services, lottery systems and operations and mobile and virtual reality games. The Group has earned the trust of governments and top-tier companies in telecom and banking in over 50 countries across the Middle East, Africa and Europe. "The fiber optics project is a significant leap towards the digital economy. It will reinforce Lebanon's position on the worldwide digital map. In fact, it is the first infrastructure project of this size, since 2004. This project will undoubtedly bring us on par with industrialized countries, in terms of internet speed", said Hisham Itani, chairman and CEO of Resource Group Holding. "We live in a digital era where the internet has become crucial for personal and business interactions. Easier access to the internet and faster connections will pave the way for new technologies and new business opportunities to entrepreneurs and companies. A solid internet infrastructure is a backbone for a competitive environment where innovators and entrepreneurs can thrive, and companies can progress. Combined, these elements contribute to economic growth and prosperity in Lebanon," Itani added. The launch of the fiber optic project will improve network quality across all Lebanese territory, in an attempt to conform to international standards. Citizens will experience unprecedented internet speeds which will optimize the efficiency of their daily tasks and allow them to benefit from enhanced services. In addition to reinforcing internet experience, the project will have a positive impact on the economy, with state revenues reaching $1 billion over a four-year period, according to Ogero's estimations. Furthermore, businesses can significantly benefit from fiber connectivity, not only on internet speed level. Fiber's capabilities provide enterprises with faster access to data stored in the cloud, at a time when businesses are furthermore adopting the cloud-hosted data. Also, fibers are resistant to weather conditions, unlike copper that stalls data transmission amid bad weather conditions. Security is one of fiber's most important advantages. It is almost impossible to hack a fiber optic internet network. 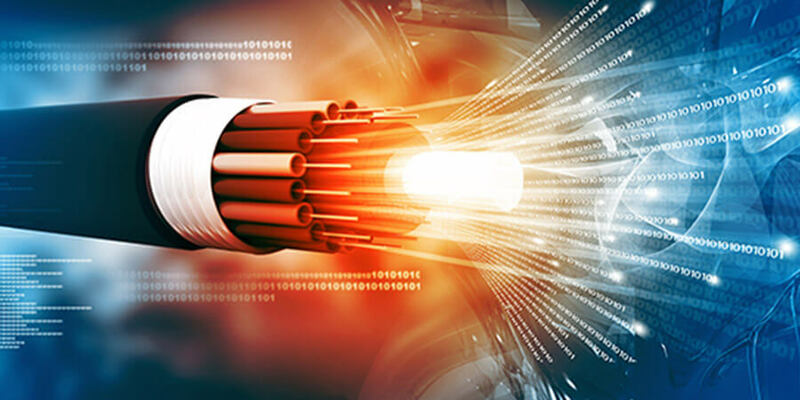 Therefore, having fiber connectivity protects a company against cyber threats and cybercrime. It also boosts productivity given the fact that it decreases latency and eliminates speed-related issues. The FTTx project implementation will take almost 40 months. It will be the first step towards deploying fiber in every home and building, thus fulfilling the dream of every Lebanese citizen. This project is a step forward for the Lebanese Telecommunications to bring the whole sector up to speed with the global standards.